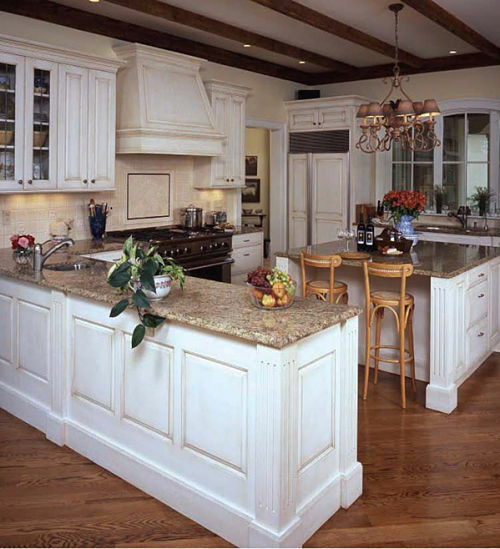 Consistent with our commitment to superior quality and craftsmanship, McClurg is pleased to offer semi-custom and custom cabinetry from two of the industry's most respected cabinet manufacturers: Bishop Cabinets and Elmwood Fine Custom Cabinetry. Learn more by visiting the manufacturers' Websites at the links below, or call us at 673-2051 to see product samples or finished installations. Bishop Cabinets is a family-owned company from Montgomery, Alabama where they've been manufacturing cabinets for kitchens and bathrooms since 1964. They offer a wide range of wood styles, door styles, finishes and accessories using the highest quality construction materials and techniques. Framed Cabinetry - This is the most common and traditional cabinet style where the wood frame surrounds doors and drawers. Full Access Cabinetry - This is a frameless cabinet style where doors and drawers cover the entire cabinet frame. For this line of cabinetry, the company also offers LogiKitchen, a system for planning and organizing your kitchen. Inset Cabinetry - In this style, door and drawers fit flush with the cabinet frame. 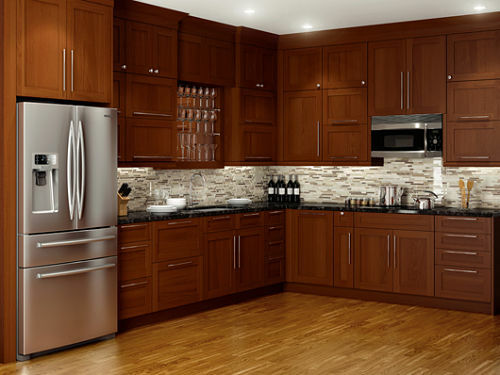 Elmwood Fine Custom Cabinetry is also a family-owned company that got its start in 1973. Based in St. Catharines, Ontario, Canada, the company manufactures a wide range of cabinets for kitchens, bathrooms and other rooms. On its Website, Elmwood offers a very extensive photo gallery of traditional, transitional and contemporary kitchen styles as well as virtual tours that are really worth seeing.